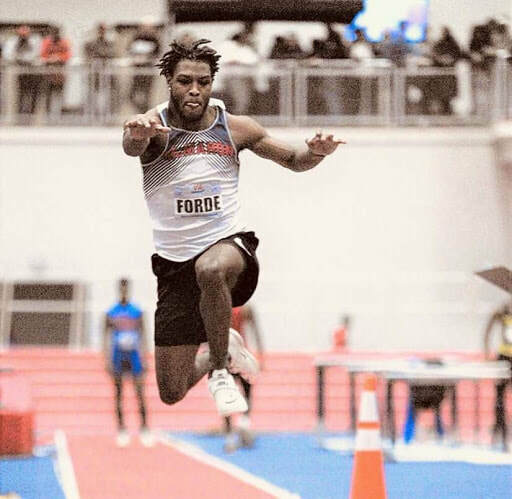 ​On March 8th, at the Armory Indoor Track in New York City, well know McMahon student-athlete Justin Forde (‘19) finished his senior indoor track season with a national triple jump title. “This meant a lot, it was like a reassurance that all the work I put in wasn’t for no reason. 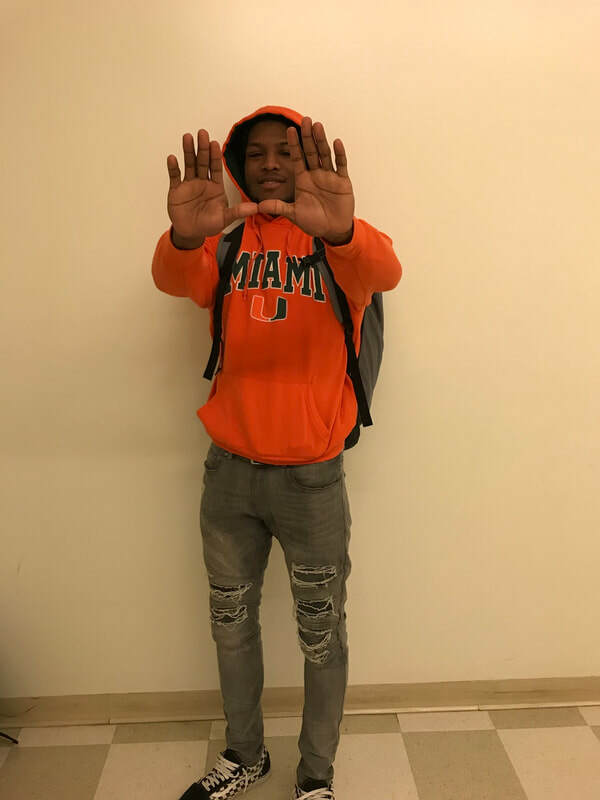 I am a special athlete and I have to work really hard at everything I do to make sure I become the best high schooler to ever do triple jump and this was a major step into completing that goal,” said Forde. This national title was a huge accomplishment for McMahon. It helped to show other students and staff at McMahon what their track program stood for. “This means so much to the McMahon track program because it is an indication that all of our student-athletes that are working hard are on the right path to where they want to be athletically.” said Track and Field coach Patrick Bradley. After winning the nationals Forde now holds three records for triple jump with 51.3 feet; one for McMahon, one for the state of Connecticut and one for New England which besides Connecticut includes Maine, Vermont, Massachusetts, New Hampshire and Rhode Island. The preparation and mindset before the match was very important for Forde who was coming off of an ankle injury just a few weeks prior. “Due to Forde being cleared just two weeks before the event the main focus in preparing was mentally letting him know that he is a top notch athlete and that he knows he can do it and just going out their and do it was the very important speech.” said Bradley. “My mindset going into the event was to go all in and give everything I had no matter the outcome because I wanted to walk away with no regrets,” said Forde. With the season starting on April 9th Forde and the rest of the rack program hope to come out with a bang. “The plan for the spring season is to break the national record and become national Gatorade player of the year,” said Forde. 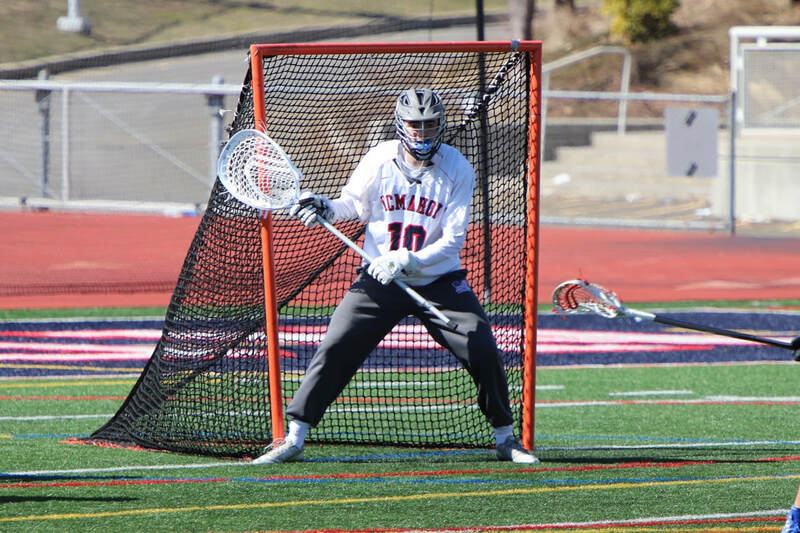 Troy Bardos (‘19) committed to Central Connecticut State University on March 7, 2019. You may see Bardos walking around the school with headphones in listening to music saying hi to a few people and going on with his day. “I joined track because Albano made me. Plus, my dad was also influencing me to do it,” says Bardos. He went on mentioned that football used to be the sport that he wanted to do great in and never had any intentions of doing good in Track and Field because all of his focus was on football. His dad helped him by saying that doing track would help him a lot with football and soon the then freshman listened to his dad and joined track. At the time he had no idea that he would fall in love with the sport. Bardos explained that he chose to compete in jumping events because coach Rudy Matute knew of his father’s background. Troy's dad held the McMahon record for high jump for 32 years jumping a height of 6’7 ½ inches. Troy competes in high jump, triple jump, and long jump. He is pretty good at all three with a high jump personal record of 5’10ft, a long jump personal record of 21ft, and a triple jump personal record of 40ft. What keeps Bardos coming back is the hard work that he puts in and getting to see his results. Track and Field is one sport where if you do put in a lot of hard work you will see it pay off and Bardos loves that feeling of getting a new personal best and receiving a medal from all his hard work. Bardos explained that each jumping event has it's own art and he loves that about jumping. It’s not like you approach every jump the same way, like as if he were running. Bardos likes that fact that he has someone like Justin Forde (‘19) on his team because it motivates him each and every day to do better. Come support Bardo's jump on April 9, at Jack Casagrande field against Stamford High Black knights at 4:00. As the third and final season of sports rolls around, there are a couple of rising stars to watch in lacrosse and outdoor track. Students like Caitlyn Hocker (‘20), John Gatt (‘19) and Savannah Bromley (‘19) have major potential for the spring season. The McMahon girls lacrosse team has started to climb the ladder of success over the past two years by making States for the first time in eight years last season. Returning starter, Caitlyn Hocker, has had a great time with the team for the last three years and explains how their growth is phenomenal. They averaged eleven goals per game, which is twice as high as the boy's lacrosse team. Known for her dedication to the sport, Hocker knows that the team has potential and all it takes is hard work and persistence. 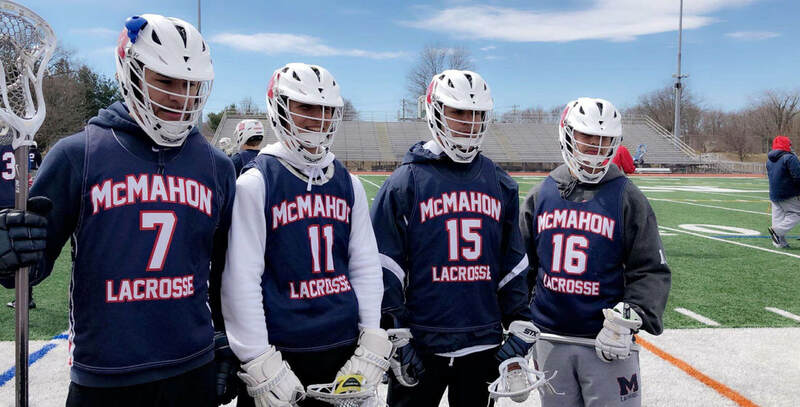 McMahon lacrosse has taken a turn for the best in the last two years and now their number one goal is to make it to the second round of States. “I hope to raise the level of play at every practice and continue to encourage everyone to work their hardest.” Hocker said. Not only has girls lacrosse gotten better over the years, but boys lacrosse has also started to improve. With star goalie Peter Ripperger having left for University of Delaware, John Gatt must try and fill his shoes to keep McMahon’s record where it was last year, or even better. The team’s record last year was 5-11 with an average of fewer than six goals per game. In order to make it to States or FCIACs, the team is going to have to raise their game and beat a couple more of the higher-level CT teams. Savannah Bromley also has big goals for her spring track season. After making Outdoor Nationals last year, she aims to increase her main event, high jump, as well as the 4x100m relay, 200m and, hopefully, the 4x400m relay. “I was pleased with how our 4x100 relay team did this year but I wish I did better in high jump.” Bromley explained. Outdoor track is a very overlooked sport, but the team has some of the best runners and jumpers in the state and the country. With Justin Forde being the number one triple jumper nationally, Korey Morton earning second place in State Opens for the 55m indoor, and Bromley qualifying for Outdoor Nationals last year, the future is bright. ​Lacrosse season is starting soon and the boys are ready to go off this season as they start their first game is home on April 1st against Staples High School. The captains for the team are Bret Rodgers (‘19), Andrew Trujillo (‘19), John Gatt (‘19), and Ian Campbell (‘19). Carlos Trujillo (‘19) feels that this team will have a chance to states. Having lost their star player from last year, Peter Ripperger(‘18), the team hopes this year they will be able to work together and try even harder to get a chance into states and FCIACS. The team has also recruited new players. “There’s a lot of new people that are starting to play, so we hope this team will grow and go for a better record this year” said Carlos Trujillo. With the lacrosse team having a new coach, they hope to build a chemistry and go undefeated this season. “Our new coach is amazing! He’s the best coach I know, he treats us all like family and he actually wants us to succeed” added Trujillo. 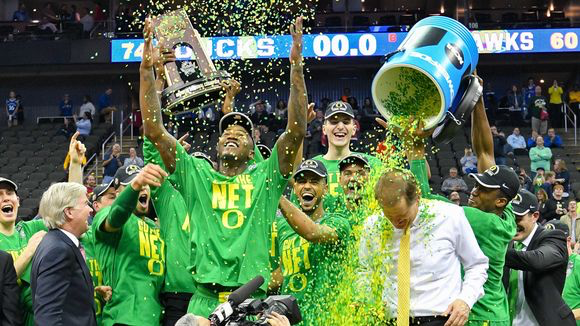 The best sports event of the year is back and madness is sure to ensue in the following weeks. 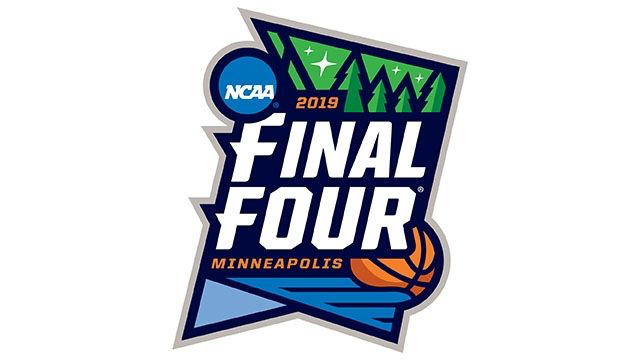 Starting officially on Thursday March 21st, the first round of the NCAA basketball tournament will tip off. Who will win it all this year? Who will be the cinderella story of this year’s madness? What teams could possibly upset the heavyweights? What are some players to look out for? All the answers to those questions will be answered in this article. So grab some popcorn and be on the edge of your seat, this year will be nothing but MADNESS. An upset is when a lower seed in the tournament, beats a higher seed. Some cases are more drastic than others (see last years Virginia Vs UMBC game) but every upset is sure to be dramatic and jaw dropping and will make you say “No way!” With that being said, let's dive in! Maryland went 22-10 and play in the big 10 which is a significantly harder conference than Belmont who plays in the Ohio Valley conference. However, Belmont went 27-5 and won the regular season title for the OVC and can absolutely light the scoreboard up. They average 87.2 points per game which is top five in the entire country. Belmont has no trouble scoring, what this game will come down to is if Belmont can stop Maryland on defense. If so you are looking at a big upset. This game will come down to two factors. Will Marquette be able to stop Ja Morant? Who is a possible NBA draft lottery pick and can absolutely torch a defense. Ja morant won Ohio Valley Conference player of the year and averaged 24.6 points per game. The next factor that will decide how this game goes is if Murray state can slow down Big east player of the year Markus Howard who averaged 25 points per game. Both of these teams are very similar because they’re team success revolves on how one player does in a game. This game is one of the more intriguing matchups in the first round of the tournament and is must watch TV. Oregon comes into this game scorching hot. Having won nine games in a row and coming off a conference title, the ducks have no shortage of confidence. Wisconsin on the other hand is a regular in the NCAA tournament so they have no shortage of experience in these type of games. The badgers will have to rely on senior Ethan Happ who is one of the best players in program history to avoid a first round upset. In each region of the bracket there is a one seed. In the east is Duke. 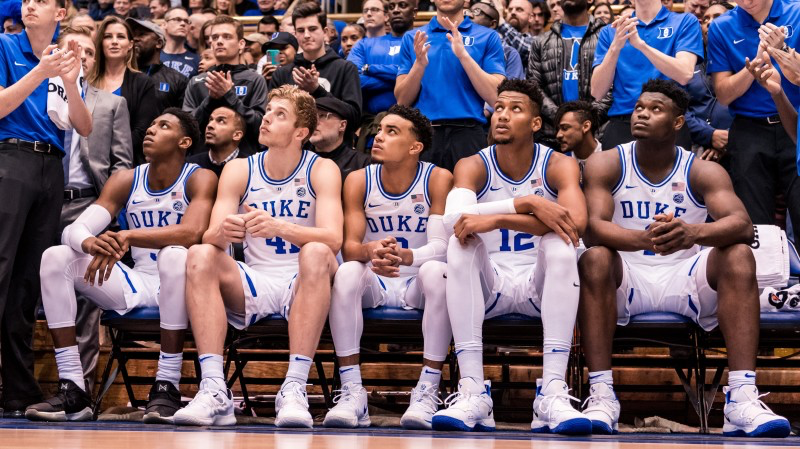 Duke features a young lineup with the likes of freshman phenoms and future top 10 draft picks, Zion Williamson, RJ Barrett, and Cam Reddish. Zion Williamson is arguably the best player in college basketball right now and is even being compared to Lebron James. Duke will have to rely on these core players to win their sixth national championship. The next one seed is Gonzaga in the west region of the bracket. Gonzaga is a perennial powerhouse and has a solid squad every year. This year is no exception. Gonzaga went 30-3 in the regular season and 16-0 in conference play. 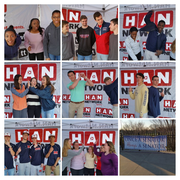 The Bulldogs are led by Rui Hachimura who averages 20.1 points per game. However, they don’t just rely on him to score. Gonzaga averages 88.8 points per game so it really is a full team effort every single game. Look for Gonzaga’s high octane offense to carry them deep into the big dance. In the south region the number one team is Virginia. Virginia for the second year in a row has the best defense in the country. However, last year that did not help them much. Virginia lost in historic fashion to 16 seed UMBC. That was the first time a 16 seed has ever upset a 1 seed. Virginia is back for revenge though this year. They're defense is absolutely suffocating. The Wahoo's only allow a measly 55.5 points per game. If they want to win they're defense will be put to the test against the best offenses in the country. Finally rounding out the one seeds is North Carolina in the Midwest region. The tar heels probably have the most solid team in the country. The Tarheels can hang with the best of them. They beat Duke not once, but twice. They also took down another one seed in Gonzaga and also have two quality wins against Louisville and Florida State. If anyone has the best chance at winning the big dance it's the Tar heels. Every single year there seems to be a low seed that makes a deep run into the tournament and knocks off high seeded teams along the way. A team that everyone writes off early in the tournament. Last year that team was Loyola-Chicago. Loyola-Chicago was an 11 seed going into the tournament and went all the way to the final four. It was an absolutely amazing story. Who will be that team this year? Well, keep an eye on the Murray State Racers(12 seed). Led by possible Wooden player of the year Ja Morant, The Racers went 27-4 overall during the season but can light the scoreboard up averaging 83.3 points per game. Also, not many people in the country can guard Ja Morant. You can double team him, but that will just leave some open on the court. The racers will have their hands full in their region. They will have to knock out possibly teams like Gonzaga, Florida State, Michigan and Texas Tech whom are all by no means pushovers. Keep an eye on the Racers this year,they could surprise a lot of people. The NCAA tournament is the biggest of stages in college basketball. And when the lights come on, the best players show out. They’re are some serious studs sprinkled all over the bracket but we are just going to focus on a few. Starting with the most likely number one overall pick in this year’s NBA draft, Zion Williamson. 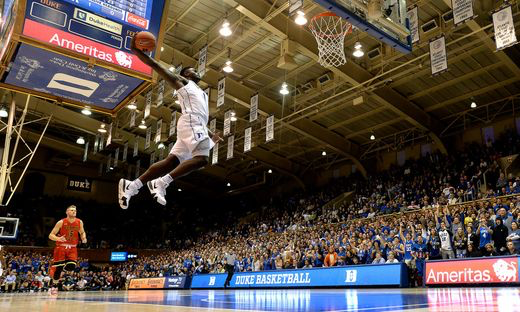 Zion is known for his electric dunks and huge frame of a body. Checking in at 6’7” 284 lbs, Zion is an absolute bully down in the post. Zion averages 22.1 points per game but in any game he can easily go off for 30 or more points. Not many people in college basketball have the size to guard him and most times Zion makes it look easy when he is playing basketball. Don’t be surprised if Zion carries the Blue devils to a 6th national title and wins MVP along the way. 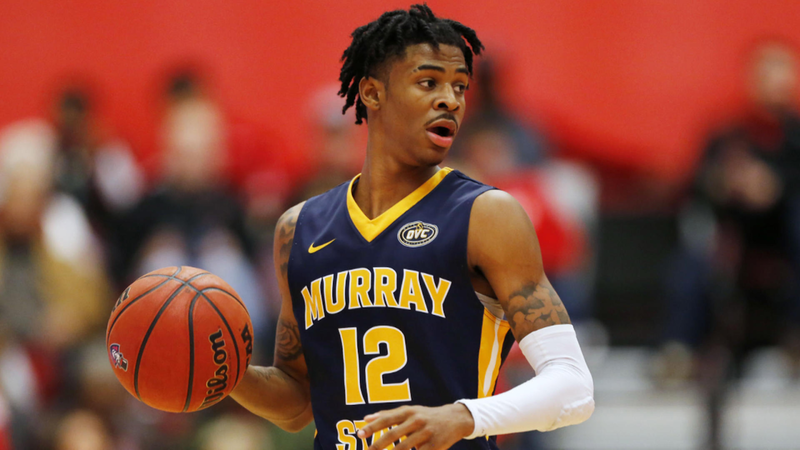 Ja Morant of the Murray State Racers exploded onto the college basketball scene this year. Known for his jaw dropping, gravity defying dunks, Ja can do everything. He averages 24.6 points per game but is by no means a selfish player. Ja can dish the ball with the best of them averaging a whopping 10 assists per game. The Big dance is Ja’s coming out party and when its his time to shine, look for Ja Morant to be a star. Grant Williams of the Tennessee volunteers is a stud. The vol’s title hopes run through him. He is the team’s “Quarterback.” What I mean by that is the offense lives and dies through him. Grant Williams averages 19.6 points per game and a solid 7 assists. He is the leader of this team and is one of the main reasons why Tennessee is a 2 seed in this year’s tournament. Grant Williams will put on a show in this year’s big dance. If you have ever spent your Saturday morning at Ben Franklin, you’ve most likely witnessed the coming together of high school boys from different towns, schools, and sports, to play a game of recreational basketball. However, for these boys, its a lot more than a pick-up game of hoops. “It taught me teamwork and I was able to create awesome memories with people I met from other schools,” Says Erik Hernandez (‘19). Hernandez goes to McMahon and has been participating in the basketball league since he was a sophomore. 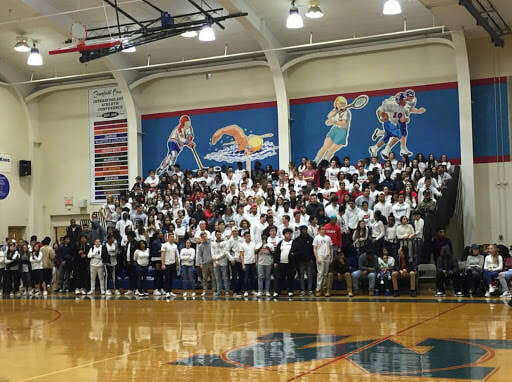 Young men from Brien McMahon, Norwalk High, Fairfield Prep, and other surrounding schools may have nothing in common except for their love for JBA. Even with a strong cross town rivalry between McMahon and Norwalk High, when the boys hit the court, everyone is family. “I met a bunch of kids from McMahon that I never would’ve even talked to if it weren't for JBA,” Says Trevian “Trey” Taylor, a sophomore at Norwalk High. This league, however, wasn’t just for making friends. “My coach and the boys on this team taught me about family. No matter where you came from, we were all brothers.” Adds Taylor. Because of this league, the boys who don't play basketball for their high schools were able to show their talents. “I play soccer at Norwalk High but I love basketball so competing in JBA was a good way to switch stuff up,” Says Gianluca Trofa, a senior at Norwalk High. Even though basketball might not be his main sport, Trofa was always seen putting his all into these games. 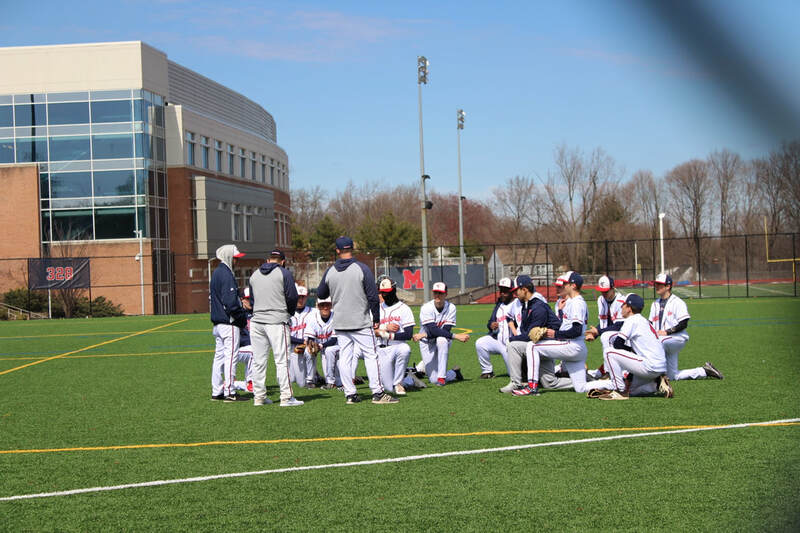 McMahon baseball is expected to be one of the better teams in both the school and FCIAC this upcoming season. Only losing two starters from last season's 10-9 record, the senators have nothing but high expectations. His team definitely doesn't lack experience this time around. They are a senior led team with seven on the roster, as well as returning seven starters in the field and all of their pitching staff. In the field, they lose catcher Anthony Socci (2nd team), yet they return sophomore catcher, Peter Meyerson who received 2nd team all FCIAC as a freshman. The other starter they need to replace is 1st baseman Chris Ehlers, but coach Cross has high praise for replacement Chris Clemens saying, “Chris Clemens could be an electrifying bat filling the first base void.” Other important players in the field with big expectations are Korey Morton, James Stefanowicz, and Shane Popkins. ​The now sophomore star lacrosse mid-field player, Anna Makover, has taken McMahon by storm. 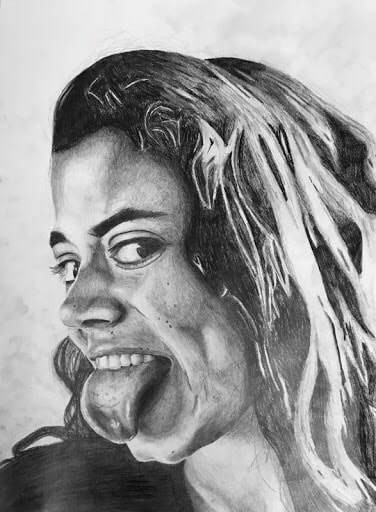 She scored the highest amount of goals (43) on her team and helped put them over the edge of going to States for the first time in eight years. She plays lacrosse non-stop during the offseason, while also participating in soccer and indoor track during the other sports seasons at Brien McMahon. Her drive to be the best not only carries out in lacrosse but in her academics and arts as well. “I have been playing lacrosse non-stop and working out when I can and I feel like I have worked hard in the offseason...I’m expecting it’ll benefit me once we get into the season” says Makover. 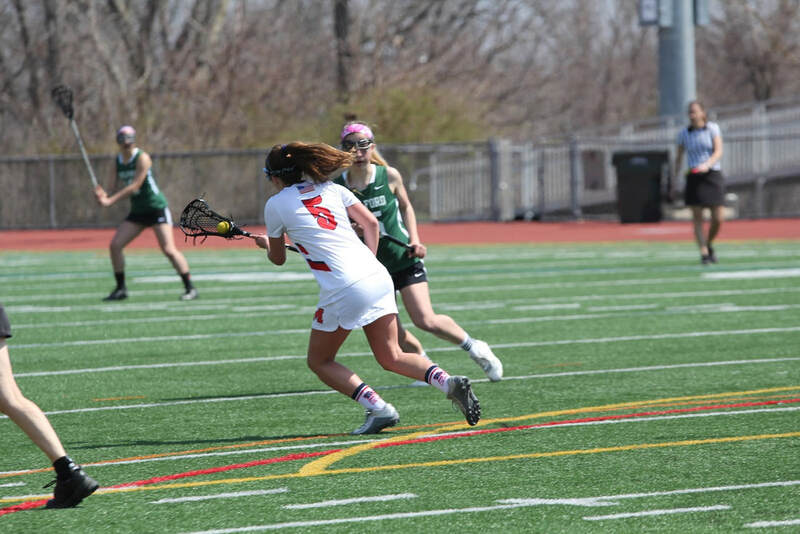 Playing lacrosse in college has always been Makover’s dream and she is hoping to be committed by the fall of this year. Girls college lacrosse has gotten very competitive over the last couple of years, so in order to reach that level, Anna has been working as hard as she can. With Darien beating our McMahon players for top college spots, Makover has had to participate in outside-of-school clubs like the CT Grizzlies which is one of the most respected club teams in our area and she has been competing with them since just fifth grade. With her entire summer being filled with lacrosse and work, Makover has very little time to relax, but instead of hitting the pool, Anna went hiking through the Alps for the last three weeks of summer. From lacrosse to hiking, Anna still has time to bond with her teammates in hopes of bettering the communication and overall ability to play as a team. This coming season is full of potential and opportunity for making States and maintaining a spot in the championship. Between the years of 2013-2017 the girls lacrosse team averaged 3.25 wins and last season they nearly tripled that with nine. They hope to further that improvement going into this season. The Brien McMahon Girls Lacrosse team looks to keep up the momentum, intensity and hard work from last season. The team ended up with a 9-7 record and a state run last year. “Last season our team definitely did a lot better than we have in the past. We made states which was a great accomplishment for us and competed well with a lot of difficult teams,” said senior Charlotte Hussey. ​With five seniors graduating last season, the team looks to rebuild and keep the program moving forward. “Last year’s team was a lot more upperclassmen heavy, and since we lost so many seniors, I think there's going to be a ton of new freshmen and lowerclassmen brought up to varsity,” said senior Delaney Oak. 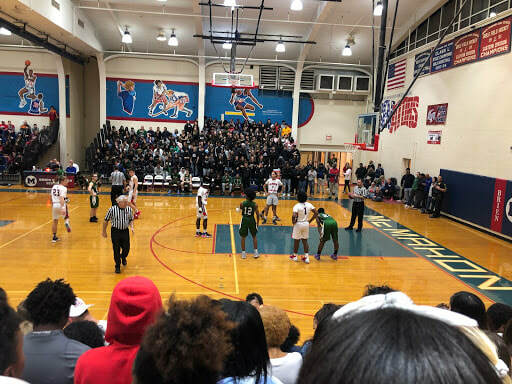 The team has a better opportunity to place higher in States and FCIAC´s has they don’t play the top FCIAC teams like Wilton, New Canaan, and Darien this season. The team looks to keep improving in every aspect of the game but they hope to key in on the ability to score goals which is crucial in winning games. McMahon girls averaged 11 goals per game last season and they need to increase that average drastically if they want to surpass the top teams like Darien who had an average of 16 and Greenwich who had an average of 15. “Last season we were very good at getting the ball down to the attacking side of the field, but we weren’t aggressive enough in getting the ball into the goal, so I think this year we'll be working on a lot more plays in order to get a shot off, ” said Oak. The team has a lot of expectations for this season and hope to achieve as much as possible. “This season we will definitely aim to make states again and work to go further in the tournament than we did last year” Hussey added. Both seniors want to leave everything they have on the field knowing that this will be their last season. “I want to help contribute to the team in whatever way is necessary to get us to win games and compete against other teams. I also hope to help pump up other players about the sport and get them feeling confident enough to reach all their potential on the field,” said Hussey. The team’s first game of the season is a home opener against the Danbury Hatters on April 2nd and they hope to start the season off with a win. Junior Korey Morton set a new school and meet record for the 55 meter dash, competing on January 31st for the FCIAC Indoor Track and Field Championship. ​To Morton, beating the school record was the biggest accomplishment he has had in his short career which only began his sophomore year. “I'm surprised someone like me was able to beat the record,” said Morton who trained for this achievement by working during the off-season with Coach Rudy and Coach Bradley. Morton started off playing basketball, that was his biggest interest, but after Coach Dustin stepped down as the varsity basketball coach coming into Morton’s sophomore year, he lost interest in the sport and wanted to try something new. This became track. Doing all this work in track, Morton feels that he will be ready for the baseball season to start as they play Norwalk High away on March 30th for their season opener. Brendan Duddy, captain for the Brien McMahon golf team, feels that this years golf team has potential and will have a chance to have the best record in years. Duddy started playing golf in the 8th grade but only fell in love with it his junior year. He likes the fact that you can begin to play golf at such a young age and can continue to play into your old age. Last year the golf team hardly had enough committed players to form a varsity team. Duddy spent this past offseason working on his game as well as recruiting athletes throughout McMahon in order to have a strong team. He says that while he has been focusing on this season and recruiting seniors, he also has been planning for the future of McMahon golf by targeting sophomore and freshman to join the team. Duddy’s efforts have shown, now having more than enough members for even a JV squad. Kane saw the improvement Duddy had made from the first time he’d seen him play in last March. By the end of the season Duddy was a solid 4th player. However, the golf team struggled with not having many players and weren’t able to be a competitive team. 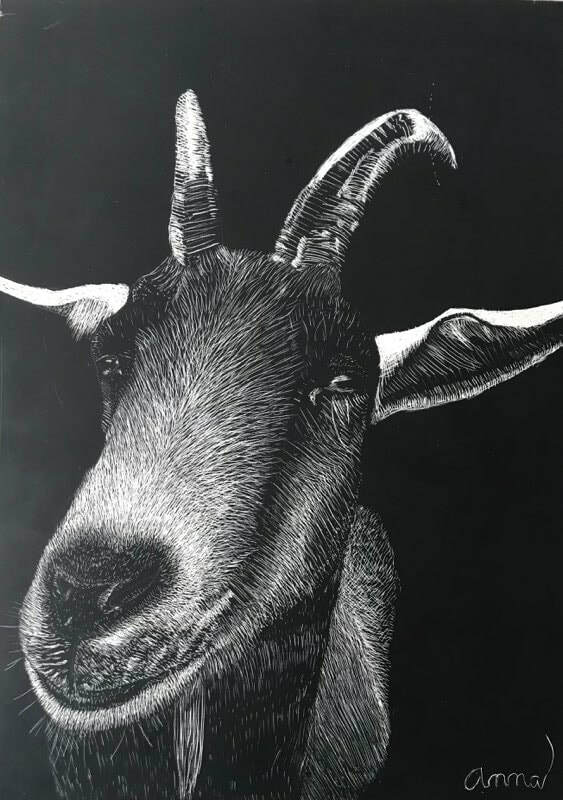 “We were a lot younger last year, but with Peter and Paul Buellesbach, Sexias Aldridge and Brendan Duddy, we have a more experienced team coming back. We just need one or two players to make us competitive” Kane said in terms of what he expects for this season. “I know that most likely we won’t be able to beat a lot of these teams we play but ik we’re going to be competitive. All we need to do is play our game and try and get into the other team’s head” Duddy added. The golf team tees off for their first match Thursday, April 4th against St. Joseph at 3 pm. This match could set the tone for the rest of the season, hopefully positively. ​As captain of the throwing team for Track and Field at Brien McMahon, senior Vassili Kyrkos has decided to play golf for the spring season. Leaving track was a major decision for Kyrkos, but once he took into account his future, he knew what his mind was set on. “Going to a college in Canada, I feel like my major is more important than any type of sports career and I don't feel like pursuing track and field will really help me financially in the future,” said Kyrkos. Most student athletes that play different sports want different experiences, but when it comes to track and golf that is not the case being that they are both individual sports. “Track was a very individualized sport for me until the championship season, so I feel if I can focus on myself I can do really good in golf,” said Kyrkos. Starting golf just in this past October, Kyrkos has already fallen in love with the sport. He feels that it is game of patience and something he could improve on for the future. As a senior, Kyrkos wants to live up his final year to the fullest and choosing golf will help him to do just that. Kyrkos believes that golf is something he is able to do in future, with his friends or even individually. While competing at a regular competition at Hill House in New Haven a senior and well known athlete Justin Forde landed wrong while triple jumping spraining his ankle and causing a devastating loss to the Track and Field team of Brien McMahon. The injury resulted in Forde not being able to participate in the State competitions which hurts Brien McMahon’s chances drastically. “It affects us a good amount. Without Justin Forde, we are losing about 18 to 20 points so any chance of our team competing to take top three in the state is kind of gone now” said Track and Field coach Patrick Bradley. For student athletes injuries can be seen as a obstacle to stopping them from progressing and improving which causes a strong desire to jump right back into the game. This mindset is not always a healthy choice and being patient after being injured is the key to coming back successfully. “I don’t want to go out and compete and hurt my ankle more severely, knowing that Nationals is right around the corner” said Forde. With a positive mindset Forde is determined to come out stronger and better making sure he is doing everything he can. “I have do a lot more to prevent anything else like taking it easy, stretching and icing” Forde added. McMahon’s girls basketball team took a disappointing loss against Norwalk High losing 79-29 Thursday, February 7 at Norwalk High. Coming into the game McMahon’s record was 3-10 and Norwalk High was an undefeated team, winning each game by at least 10 points except against the number one team in the state New London winning by only 2 points. McMahon started well finishing the first quarter only down by 9, but the senators fell apart with the score being 45-16 at the end of the second quarter. ​Coming from halftime much didn’t change except the gap between scores, McMahon played even worse in the second half and finished the game 79-29 taking a sad loss. From McMahon, Senior Michelle Menard leads the team scoring 8 points throughout the entire game, also doing a good job cleaning up the boards. “The game didn’t go as planned, but it was my last time playing The High and I think I played my best game trying to fight against stacked up odds,” said Michelle Menard. From Norwalk High, both Senior Captains Ashley Wilson, and Naeva Rene lead their team scoring 16 and 18 total points throughout the game. Norwalk High and McMahon both have tough games coming up between Trumbull who has only lost once and St. Joe’s who is 7-10 hopefully they play their best, and finish their last few games strong. 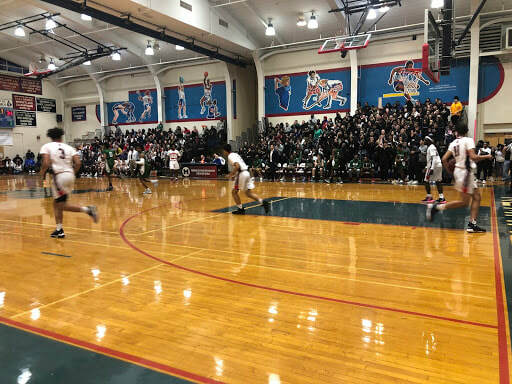 The game started off with Norwalk High scoring two two-pointers within the first two minutes, leaving McMahon at the edge of their seats, wondering why the worst team in the Eastern Division of the FCIAC was beating them 4-0. “I know going into a lot of games I’m the main focus to other teams so I used that as an advantage and play off of my teammates to help me and them be successful” (Saikwon Williams ’19). By the end of the first quarter, The High was winning 10-4, shocking everybody in the stands and hoping that we could muster up a great comeback. “One problem with our team is we tend to play to the level of our competition whether it is the best team in the state or one of the worst” (Jack Fitspatrick ’20). McMahon came back, hungry to win. Michael Fuller (‘19) drains a three-pointer bringing the score to 9-10. The game continued to bounce back and forth, giving each team a two-point lead at some point in time, with seven fouls each at the end of the second quarter, they were tied 23-23. “I had a hard time scoring the ball so I had to find others ways to help my team and offense putbacks was my game that night” said Williams. It was at the turn of the second half of the game when the senators started to communicate and play as a team. Points were coming in left and right and they started to gain a lead with Norwalk High falling behind. ​At the end of the third quarter, McMahon finally had the lead with a score of 39-36, but was it enough? To pull out a win McMahon would need to stay strong and push through their difficulties. “I definitely think we need to do a better job of moving the ball and ourselves in the half court” said Fitspatrick. 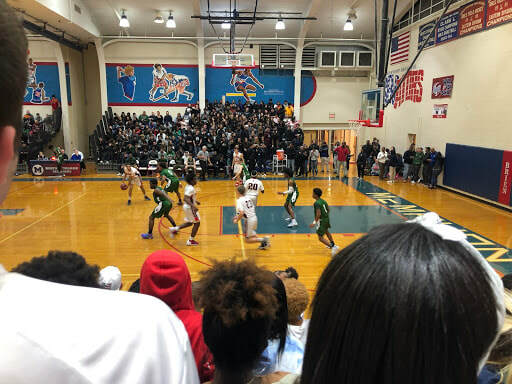 For the majority of the fourth quarter, the senators were on a roll and with three minutes to go the score was 49-43 and a win was in the future. With three-pointers coming from both teams, the lead started to disappear. Key players like Justin Lebron made a lasting impact towards the team's success in the final minutes, and seconds, of the game. 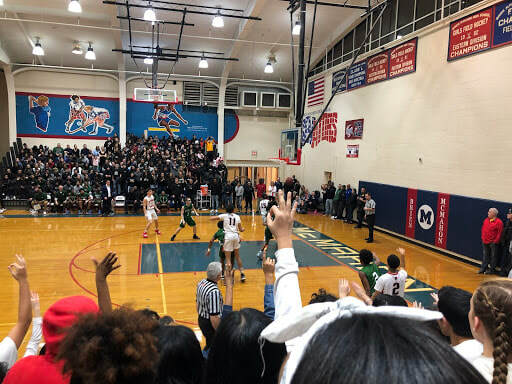 ​With only 51 seconds remaining, McMahon was in the lead 53-47, but Norwalk hit let another three and put McMahon in danger of losing to yet another bottom of the table team. This fueled the team to make a breakaway and scored two more two pointers with 20 seconds left. With the end of the game closing in and McMahon in the lead by seven points, it was all looking good until there was an injury on the court that stopped the game for about a five-minute break in the middle of the quarter. McMahon got the ball once it started back up again and luckily, they were able to score another two-pointer, giving them a hard-earned win against their biggest rival: Norwalk High.